FREE and fast freight to most of Australia including suburbs in Adelaide, Brisbane, Cairns, Canberra, Gold Coast, Melbourne, Sunshine Coast & Sydney. Need a CAD Computer? 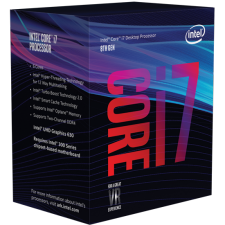 Our Series 7 CAD PC is powered by Intel's latest 6 core 8th Generation i7 CPU. This CAD Workstation Computer is designed for professionals who need a fast and reliable PC for computer aided design - CAD, AutoCAD, Solidworks, OZCAD or Digital Content Creation (DCC). Built for Professionals, and certified on leading CAD and DCC applications, NVIDIA® Quadro® delivers the best performance per watt in its class, maximizing productivity while conserving energy. If you want to buy a good CAD computer with performance and reliability then our CAD Desktop computer is for you. CAD Computers are often referred to as a workstation PC. 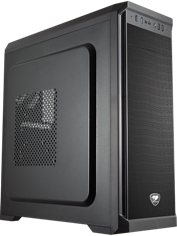 This great CAD PC is on sale right now with free and fast delivery to most of Australia. This CAD PC has the option of the latest P1000, P2000 & P4000 workstation graphics cards as well. Or, if you want a graphics card with more CUDA cores then this PC also has the option of nVidia GeForce GTX 1660 and the GeForce RTX 2070. Ideal CAD PC for rendering high resolution images, doing Finite Element Analysis (FEA), Computational Fluid Dynamics (CFD), or calculating sophisticated geometry. NVIDIA has a history of the industry's best performance on leading Design and Manufacturing applications. Our CAD (Computer Aided Design) CAM (Computer Aided Manufacturing) & CAE (Computer Aided Engineering) workstation PC have nVidia Quadro cards that gives you the grunt needed for 3D design and analysis software such as AutoCAD, Autodesk Inventor, Cosmosworks, Catia, Solidworks, Pro Engineer Wildfire, Solid Edge, NX I-Deas, & Team Centre. Looking for the perfect processor to build your CAD PC around? But you also want to edit your action videos and photos? To do this, you know you need serious performance. Not to worry—Intel is happy to announce their latest 8th generation six-core processor. If it is performance you crave, then this is the processor you have been waiting for. Intel 8th gen i7 CPU & a Quadro CAD card makes a great CAD PC. Performance Upgrade - Upgrade to the Latest Intel 8 Core 9th Gen i7-9700K CPU ( up to 4.9GHz Max), ASUS Intel Z390Chipset Motherboard, Professional Case and Liquid Cooling for CPU for only $605. The i7-9700K CPU is much faster compared to i7-8700 CPU as it has 2 more cores. The i7-9700K (F) CPU has 8 Cores, 8 Threads and 12MB Cache. Please note that this upgrade includes the 9700K (F) CPU, Z390 Motherboard, Liquid Cooling and Professional Case upgrade. Performance Upgrade - Upgrade to the Latest Intel 8 Core 9th Gen i9-9900K (F) CPU ( up to 5.0GHz Max), ASUS Intel Z390Chipset Motherboard, Professional Case and Liquid Cooling for CPU for only $805. The i7-9700K CPU is much faster compared to i7-8700 CPU as it has 2 more cores. It is also faster compared to i7-9700K (F) as it has 16 Threads. Create Without Limits - Unlock your creative potential with the power you need to create, edit, and share. Let your creativity flow as the 9th Generation Intel® Core™ processor renders and encodes in the background so you don’t miss a beat. The i9-9900K (F) CPU has 8 Cores, 16 Threads and 16MB Cache. Please note that this upgrade includes the 9900K (F) CPU, Z390 Motherboard, Liquid Cooling and Professional Case upgrade. We use ASUS motherboards on our CAD PCs. 8000+ validation hours - Extensive testing for extreme reliability, compatibility and safety. ASUS motherboards guard your CAD PC with 5X Protection. We use quality components like DIGI+ VRM digital power design for precise CPU power on demand, ESD units tested to strict standards that eliminate electrostatic interference, and resettable fuses around DRAM slots to prevent overcurrent and short-circuit damage. We also use corrosion-resistant back I/O shields, all examples of ASUS providing the best possible reliability and durability for your CAD computer. ASUS is the world's biggest motherboard manufacturer, and renowned for its design thinking that revolves around users – just like you. Their engineers employ exacting standards to guarantee quality throughout the product's life, choosing the finest components for real-world protection. ASUS CAD PC motherboards are proven to be compatible with more than 1,000 components and devices, and undergo a minimum of 8,000 hours of strict validation. That gives you the peace of mind of knowing that ASUS CAD computer motherboards are fit for all environments and applications. To build your CAD PC with the best foundations, build it with an ASUS CAD computer motherboard. TUF PC motherboards are specially designed and tested to survive and thrive in conditions where other boards would struggle. Engineered with highly durable components, these motherboards deliver unwavering stability for gaming sessions that last as long as you demand. Upgradable to 64GB. With Dual Channel DDR4 RAM, the data path is doubled by using two sticks of DDR4 memory. By giving the CPU/north bridge another data path to the memory, bandwidth is effectively doubled. In simple terms, think of Dual Channel DDR as widening the bridge by adding two more lanes. This effectively allows more data to travel faster; much like traffic moving faster when there’re more lanes to drive in. We use A-Grade RAM in all our CAD computers such as G.SKILL, Crucial, Corsair and Kingston. Get the most out of your CAD PC with a SSD Drive - No moving parts results in a quiet, cool, highly-rugged solution that offers up to 10x faster system responsiveness1 than traditional hard disk drives. Boot time, application launches, file loads, sleep recovery, benchmarks; each activity is faster. Low power consumption & upto 100% longer life. From running a virus scan to rendering video clips - everything is faster with a SSD. Give you CAD computer a boost with the latest SSD. Supertech Computers has been supplying high quality CAD computers in Australia for over 23 years. To celebrate our 23rd anniversary, we are offering some great specials including Free delivery of this gaming PC to most of Australia including Adelaide, Brisbane, Cairns, Canberra, Gold Coast, Hobart, Melbourne, Perth, Sunshine Coast & Sydney. Ideal CAD PC with P620 Quadro. Upgrade to latest 4GB nVidia Quadro P1000 for only $250. The new Quadro P1000 combines the latest GPU architecture and display technologies, delivering up to 60% better performance than the previous generation. Powered by NVIDIA Pascal GPU technology, the P1000 is a powerful professional graphics solution. 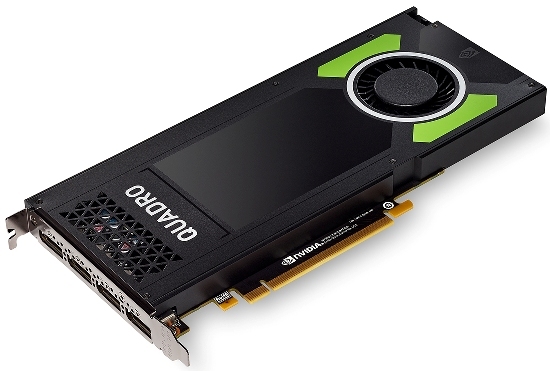 Upgrade to latest 5GB nVidia Quadro P2000 for only $450. Upgrade Offer Quadro P4000 CAD PC Graphics Upgrade to powerful 8GB nVidia Quadro P4000 for only $990. Extreme Visual Computing Performance in a Single Slot Form Factor. Get maximum performance from your desktop CAD PC. Want to buy a CAD PC with nVidia GeForce graphics card? The nVidia GeForce GTX 1660 Ti has 1536 CUDA Cores. If your CAD application relies on CUDA cores to maximise the performance of your CAD software then consider a nVidia GeForce Graphics card. Some CAD applications use the CUDA cores on the graphics card to process or render. If you are using one of these CAD applications then the nVidia GeForce RTX 2070 has 2304 CUDA cores and will be ideal for your CAD applications. RTX2070 - NVIDIA® GeForce RTX 2070 delivers great rendering experience. Powered by the new NVIDIA Turing™ GPU architecture and the revolutionary RTX platform, RTX 2070 graphics cards bring together real-time ray tracing, artificial intelligence, and programmable shading. This is a whole new way to experience games. Ray tracing is the holy grail of gaming graphics, simulating the physical behaviour of light to bring real-time, cinematic-quality rendering to even the most visually intense images like never before. 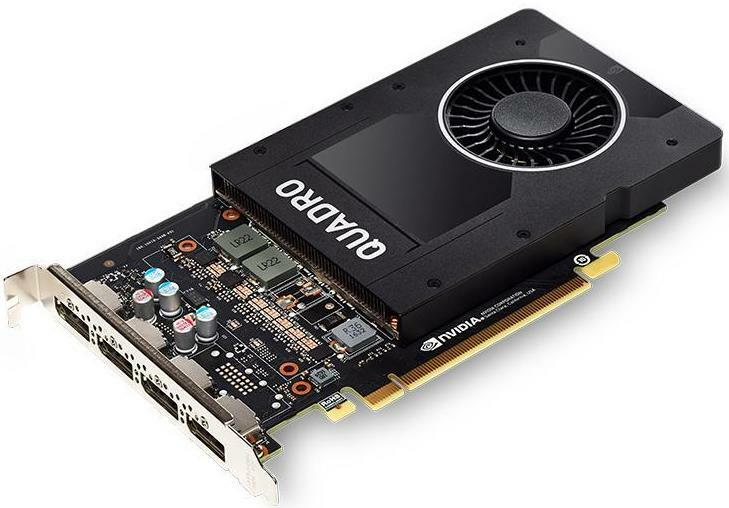 Quadro P620, Quadro P1000, Quadro P2000 or Quadro P4000 Quadro Graphics card for CAD PCs Need help deciding on which graphics card is right for your CAD PC. Nobody relies on just one application over the course of a day; we're all bouncing between disparate tasks and windows. But for the majority of CAD professionals, there is one application that dominates your day. It might be SolidWorks or AutoCAD, Inventor, CATIA, or Solid Edge. Once you've identified that app, head to the web to find its suggested minimum hardware requirements. Now, don't settle on these baseline numbers and think you're going to be happy. In most cases, minimum requirements set an extremely low bar. SolidWorks (as of this writing) specifies a minimum of 1 GB RAM, but suggests 6 GB. Well, even 6 GB isn't necessarily the best choice, depending on your budget, and especially given the amazing amount of memory that can be had for not a lot of dollars. Not only do you need to consider which CAD application you use most, but also how. Factors that call for more than the average specs for RAM and/or graphics horsepower include working with large assemblies and complex parts (such as plant and routing design), rendering, and running first-pass finite-element and kinematic analyses. Click on the link below and it will take you to a chart that will show you which Quadro card is right for your CAD application. 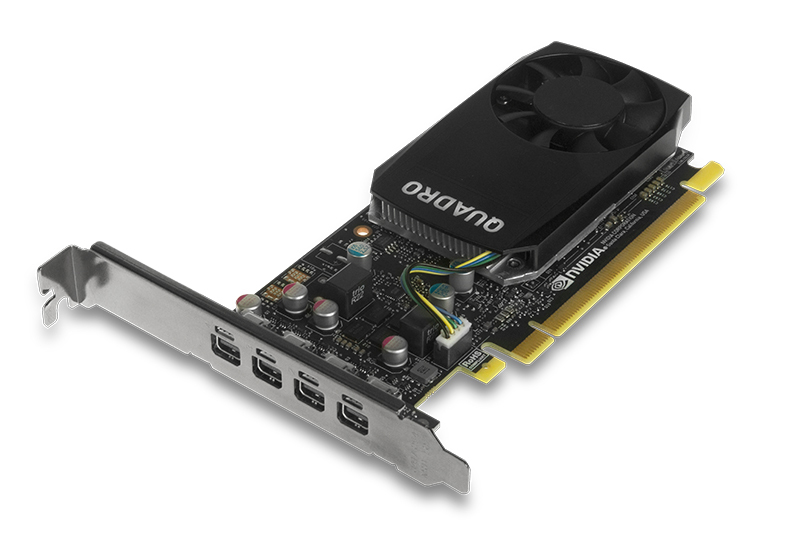 CLICK HERE FOR QUADRO CARD HELP. UVP (Undervoltage protection) If the voltages fall below a certain tolerance value on the single lines, the PSU automatically switches off. OVP (Over Voltage Protection) If the voltages increase above a certain tolerance value on the single lines, the PSU automatically switches off. SCP (Short-Circuit Protection) In the case of a short-circuit this feature prevents damage to the core components of the PSU and its system components. 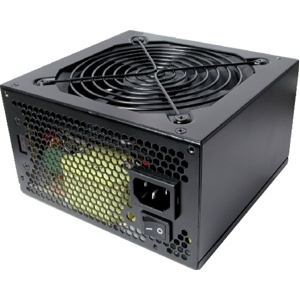 OPP (Over Load Protection) If the system is oversized and requires more power from the PSU than it can perform, this protection function is activated. OCP (Over Current Protection) If the current on a single line is higher than indicated, the PSU automatically switches off. 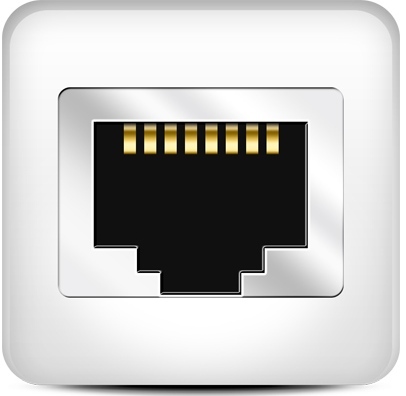 You have the option of either the standard 300Mbps WIFI card or the faster dual-band AC1200Mbps WIFI card which also provides greater coverage and also has Bluetooth. Please note that Z390 Motherboards don't have USB 2 Ports. 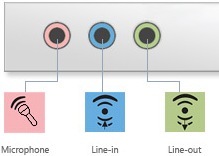 They have 4 x USB 3.1 Gen 1 ports at rear and 2 at front. 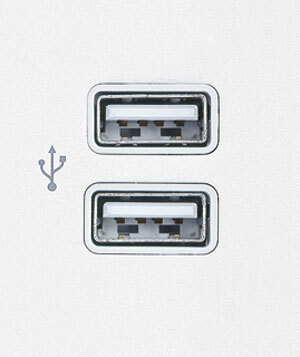 They also have 2 x USB 3.1 Gen 2 ports at rear. Sophisticated cooling technology is essential to the proper operation of all modern CPUs. The choice of cooling technology impacts both the performance and the acoustics of a PC. The superior performance of the Intel Liquid Cooling Thermal Solution makes it the right choice for over-clocking enthusiasts and users of CPU intensive software including applications for digital content creation, CAD, engineering simulation, scientific modelling, financial modelling, Photo / Video Editing and PC gaming. 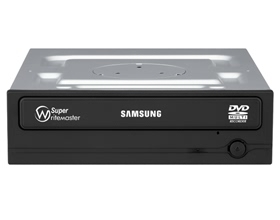 Why buy CAD Computers from Supertech Computers? Supertech Computers is a Multi Award Winning computer company that has been supplying high quality new desktop computer packages for CAD / AutoCAD / Workstation since 1995. With over 23 years of CAD computer industry experience, we have the knowledge and tools to build high quality CAD computers at a cheap price. Also, we always have all our CAD computers in stock and and if you want to pick it up then we can have it ready within 5 hours. We offer fast delivery of all our CAD PCs all over Australia - generally delivered within 1 to 3 days. For Supertech Computers, customer service and quality of parts is paramount. We will not compromise on quality just to sell cheap computers. We use Genuine Intel CPU, ASUS Motherboard, Samsung or Intel SSDs and Seagate or Western Digital hard drives. The Graphics cards on all our desktop CAD PCs are supplied by nVidia Quadro. At Supertech Computers we take the greatest care in every CAD PC we build. Our technicians check every detail before any of our desktop CAD computers are shipped or picked up. All our high quality CAD desktop computers have to pass a series of tests for at least 48 hours before they are sent from our warehouse to our shops. All our CAD computers come standard with full manufacturer warranty, Free lifetime unlimited phone support and free remote login support. This new CAD COMPUTER replaces our i5 CAD PC. Latest CAD / AutoCAD / Solidworks software demand performance, therefore we have replaced the old i5 with the latest Intel 8th generation Intel i7 8700 CPU on this CAD Computer. If you are looking at buying a good CAD computer online in Australia that is fast and reliable then this computer is for you. You can buy it now online by selecting the options that you want and then clicking on the BUY NOW button below or by calling us on 1300 891 530 or 0403 326 639. From super fast Windows booting to almost instant launching of applications, this is the CAD computer for those who want only the best. We can also build you a custom CAD computer to suit your budget and requirements. Thank you once again for all your help and support over the past years. These new i7 CAD PCs that we have bought from you are the best CAD PCs that we have ever had. Staff are extremely happy and all CAD software including AutoCAD run like a dream. I have highly recommended you to my colleagues who will contact you shortly for a few CAD computers. J. Hove. Mt. Isa. QLD. Sorry for the delay in getting back to you. I just got back from New Zealand and saw your email. Yes, we did receive the CAD computer about 3 weeks ago and the CAD designer says " I LOVE IT - BEST CAD PC EVER" - his words mate. We need to replace the other 4 CAD PCs as well. Could you please arrange this for me before the end of this financial year. Email me the invoice and I will arrange payment. Thanks for following up on this and the great CAD computer. S. Timms. Rockdale. NSW. Buying this cheap i7 CAD computer online is very easy. You can buy it online now by selecting the options that you want and then clicking on the BUY NOW button above or by calling us on 1300 891 530 or 0403 326 639. Get FREE and fast freight on this great CAD PC to most suburbs in Australia including Adelaide (SA), Brisbane (QLD), Canberra (ACT), Gold Coast (QLD), Melbourne (VIC), Sunshine Coast (QLD) & Sydney (NSW). TAGS : CAD computer, Desktop CAD PC, Computer for CAD, CAD computers, CAD PC, Buy CAD PC, Buy CAD Computer, Buy CAD PC online, CAD PC build, CAD PC Australia, AutoCAD, Auto CAD, CAD Computer Australia, good cad computer, CAD 2D, CAD 3D, SSD CAD PC. The dominant thrust in CPU architecture has shifted away from accelerating single-threaded processors and toward developing parallel processing, with the latest professional CPUs moving from dual-core to quad-core and now hex-core processors. Multicore CPU approaches have proved a great avenue to gain theoretical speed-ups, but when it comes to modeling with most mechanical CAD packages, including AutoCAD, Inventor, SolidWorks, and Solid Edge, you won't benefit much from multiple cores, as those applications are not yet optimized for multicore processing. On the other hand, engineering simulation and rendering — whether performed discretely or via a renderer embedded in one of the aforementioned design packages — do tend to utilize multiple processing cores. If that’s the case for your primary rendering engine and if you spend significant time on these tasks, you’ll want to consider shifting more of your budget toward a good graphics card that can handle the workload. Perhaps more importantly in today’s 3D environment, you'll want to pay closer attention to the GPU you're choosing to power your MCAD, rendering, and simulation applications. Today's GPUs bear little resemblance to the graphics controllers of old. Forget old-school wireframes and primitive solid models with smooth-shaded sides. Professional graphics cards offer the ability to realistically display parts and models and keep your viewports fluid even when working with complex projects. But graphics are only the beginning of what these new GPUs can tackle. These engines also offer a whole lot more processing horsepower — work that has always tended to bog down CAD pros. First and foremost, with the right GPU in place, you’ll notice remarkable performance in terms of how your 3D software responds to panning, rotating, zooming, generating animations, and all those other tasks that push the limits of a lesser processor. Such a fundamental improvement in how you interact with your software can bring about dramatic gains in productivity and overall user satisfaction. The latest GPUs are also rendering raster-based images in real-time that rival anything off-line Hollywood render farms could manage just a few years ago. But more than that, GPUs have broken through all the preconceived limits we'd previously set for them, taking on processing that traditionally was left to the CPU. That means CAD professionals can now leverage their investment in graphics hardware to achieve far more than anything yesterday's graphics cards could have ever hoped to achieve. Accordingly, you're going to want to spend at least as much time considering your choice of GPU, and quite possibly a bigger portion of your budget as well. Which GPU should today's CAD pros choose? Well, most buyers will want to match the performance and capabilities of the GPU with the rest of the system — that is, an entry-caliber card for an entry-caliber workstation. Good balance, where each component hits a performance level that is supported by the rest of the system, is the best way to maximize ROI for your workstation purchase. GPU Computing. Your questions about selecting a GPU should no longer be limited solely to which GPU, but also how many, thanks to GPU computing. Virtually every corner of the MCAD world utilizes the same basic workflow: design, revise, analyze, then iterate. Two common components in this iterative workflow, finite-element analysis (FEA) and computational fluid dynamics (CFD), employ algorithms that rely on heaps of floating-point arithmetic and can be run in parallel to gain significant increase in throughput. It's a similar story for raytraced rendering, a technique that is so fundamentally different from conventional raster-based rendering that it more naturally falls under the category of GPU computing than graphics. Images rendered by a raytracer immediately catch the eye, making it one of the most sought-after visual tools for product styling. With NVIDIA's GPU compute–enabled iray, a rendering engine found in popular software such as Autodesk 3ds Max, Bunkspeed Shot, and CATIA v6, designers are seeing visualization times shrink from hours to minutes. With that speed, designers can leverage raytracing earlier and more frequently in the development process, fine-tuning designs based on photorealistic feedback. SolidWork is built for mechanical design. It has a broad and robust feature set perfect for 3D CAD, simulation, product data management and consolidation, technical communication, and electrical design. Solidworks is used in virtually every industry that could have need for custom-designed parts, including but not limited to: aerospace, automotive, construction, energy, manufacturing, medical, industrial equipment, and high-tech electronics. PTC Creo® Parametric™ empowers designers to work in a more immersive modeling environment. As a result of the strategic partnership with PTC, NVIDIA technology enables realistic materials (metals, glass, plastics, etc.) that are closely matched to final renderings. Maya is another good advanced offering from Autodesk, including great tools for 3D animation, modelling, simulation, rendering, and compositing. Maya is immensely capable, able to easily integrate 3D motion, 3D modeling, and cinematic-quality interactions. Maya arguably more capable than necessary for 3D modeling of components to print with 3D printers, but the functionality is all present at its core.